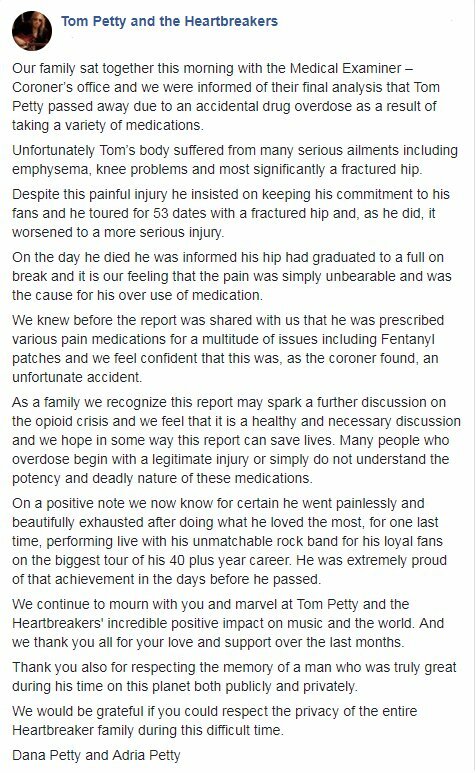 According to a Facebook post by the family of Tom Petty's family, coroner’s office has informed them that the singer's death was ruled an accidental overdose as a result of "taking a variety of medications." 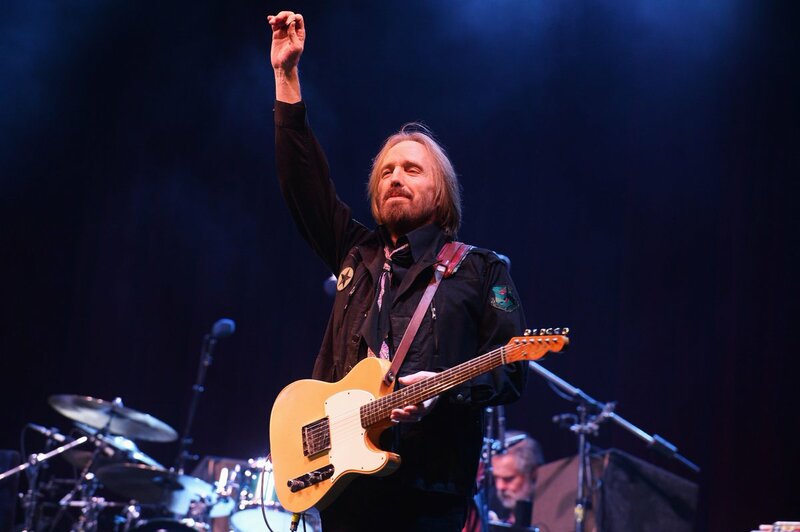 Petty's wife, Dana, noted that Tom suffered from many serious ailments such as emphysema, knee problems and a fractured hip. The family also noted that, "We recognize this report may spark a further discussion on the opioid crisis and we feel that it is a healthy and necessary discussion."